If you’re looking for a new creative hobby, I think you’ll love art journaling! 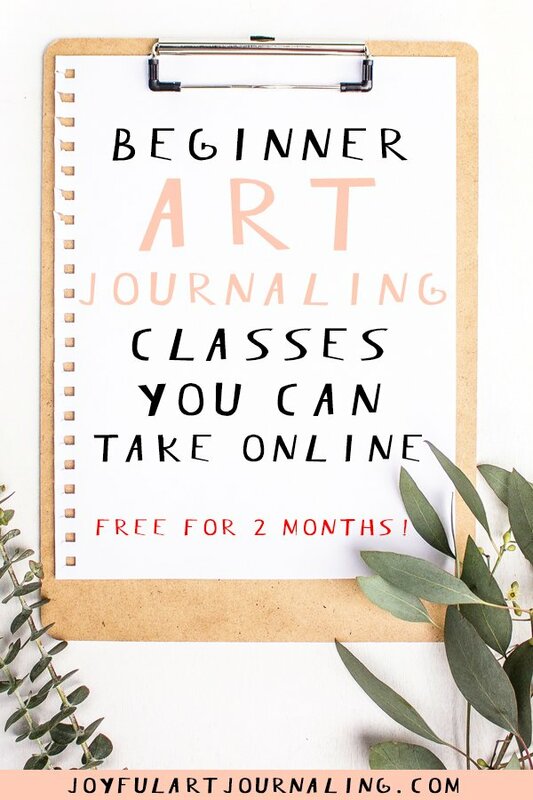 And with these free beginner art journaling classes you can take online (free for the next two months) you can take a chance and see for yourself! Why do I think art journals are the best creative hobby? Because you have total creative freedom! Don’t get me wrong, I see the appeal of, say, adult color books. But coloring inside the lines is only fun for so long. With art journals, you can try your hand at everything, while documenting your life. Some popular art journal techniques include: collage, mixed media, hand-lettering, watercolor painting, drawing, using stencils, even ideas as unique as sewing and making journals from “junk”! So if you want to give it a try, I’ve rounded up these beginner art journaling classes you can take on Skillshare. If you haven’t heard of Skillshare, I like to describe it as the Netflix for online learning. They have thousands of classes, from creative to business to technical and more. And with this link (or any of the links on this page) you can take any/all of the classes there free for the next two months! (New Skillshare users only.) Obviously including the classes I’ve listed below. So go ahead: Get creative and have some fun! From the class description: “In this class we’ll be combing, expressive and loose watercolour with dip pen details that will add character and linear quality to your sketches. … I learnt so much from my own sketchbook studies and I’d really like to share with you some of my top tricks and tips for this loose and free technique. We’ll start with a rough guide to nibs, holders and inks, before moving onto a bit of ink line practice. Then we’ll introduce the dip pen to watercolour. I’ll show you many of my own examples and give lots of info about working in this loose and free way. This class is great if you’re just a beginner or if you want to add that extra element to your own watercolor sketches. I’ve taken many classes by Ohn Mar Win on Skillshare, and I always enjoy them, including Sketchbook Practice: Create Freely with Ink and Watercolor. If you’d like to start out your art journal practice in a more utilitarian manner, this class is perfect for you. From the class description: “Handmade journals are a wonderful way to enhance and enrich your creative practice. Whether you make a journal for writing or one for art, you’ll find that the process is so simple you’ll want to make these books over and over again. This is such a fun class, and a great way to start filling up your own art journal. Class description: “Mari’s illustrations resonate with everyone who sees them. Her funny, vulnerable point of view has led to over 250K Instagram followers, helped her through a trying time, and even led to a whole new life. Join Mari in this inviting class as she shares how drawing can help you process your emotions and promote self-discovery. Class description: “Let popular illustrator Leah Goren inspire you to start and keep a sketchbook that helps you stay creative and record beauty in your world. The following beginner art journaling classes are more for stepping up your drawing/painting game, and to help you find your own style! Add a bit of tropical whimsy to your art journal with this class! The class description: “This class is suitable for beginners. Tropical foliage is a very trendy topic this year and it will make a great addition to your creative portfolio. Especially are popular tropical leaves on the dark background, that is why we will explore two different color schemes for our tropical foliage. Based on this class description, I feel like I can do anything! 🙂 “In my new class, Whimsical Faces: Drawing Basics, I will teach you the basics of how I draw whimsical faces. I love keeping it loose and abstract, yet having a touch of realism in my art. I want to share that process with you, and the skills you need to create your own whimsical faces. 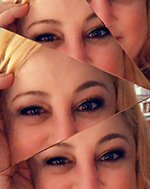 We will walk through the supplies, resources I’ve been using to learn to draw faces, and I will do a short journal flip to share a bit of my journey of drawing faces. We will learn very simple proportions for faces. For the project demonstration, I will take you step-by-step through a monochromatic drawing, sharing my process and tips along the way. I have created bite-sized sections for this drawing so that you can draw with me! Simply pause the class, draw, then continue watching. These are just some of the amazing beginner art journaling classes you can take on Skillshare. I hope you’ll join me as a student there!